No matter what size your garden is, it needs to be maintained to remain healthy. Plants may not be able to speak but their healthy growth speaks volumes. Here are several steps that you can use when maintaining your garden. Your first step is to place healthy soil in the correct places so that your plants can develop to their full potential. At least once in a month, turn your soil using a spade to avoid the hardening of the soil which can prove harmful. You should always use the right tools for gardening. It pays dividends to invest in high quality tools and to keep them clean, sharp and free of rust. Your spade will be much easier to use if you keep it sharpened; you can do this manually or by using a grinding wheel. Water is the elixir of life so it is very important to make sure that you water your plants correctly. Spray them in the morning so that they have enough time to absorb all the moisture during the day. Avoid watering your plants in the evening to prevent fungus and and to avoid attracting bugs looking for shelter. No one likes a garden full of weeds as they ruin the aesthetic and beauty of your garden. Pull out any weed you see on a daily basis to avoid having a much larger job at the end of the season. Make sure to remove and discard the dead leaves and flowers as well. Mulch is very important for the health of your garden as it keeps the soil fertile and healthy. It also prevents the weeds from growing. It is not necessary to invest in the most expensive brand of mulch and you can make your own mulch by using dead leaves. Slugs hinder the health of your garden. You can sometimes capture them using a bottle of beer as the scent is attractive to them. Overgrown items make your garden look unattractive. Trimming your hedges and shrubs makes your garden look professional and increases your overall property value. 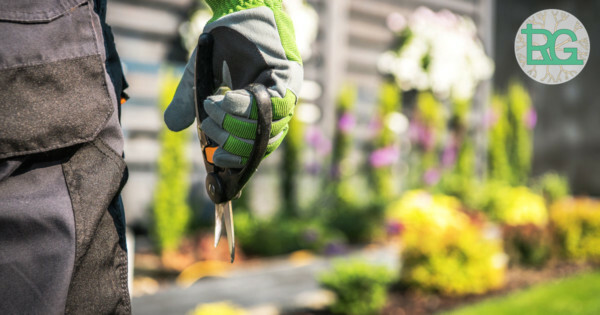 If you are looking for gardening services in Toronto, Rainbow Gardening is your best bet when it comes to creating a fancy garden. Drop us a line … we will follow up right away.